ACS/Everest hosting Gladiators at the picturesque Lido Beach Park, the host won the toss and elected to take first strike on August 14th, 2016. Everest scored and imposing 288/6 in the allocated 40 overs. Amarnauth Persaud led the charge with a measured hundred showing that he still has the class that brought him success in previous seasons. 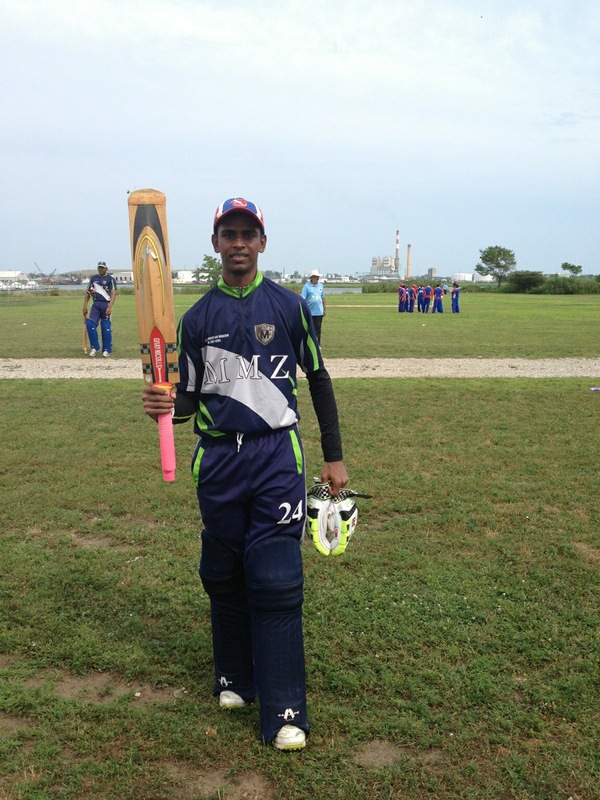 Deveshwari Prashad scored and unbeaten half century in a hundred plus partnership with Amarnauth Persaud. Manjrekar Bhola and Ameer Khan had two wickets each for the visitors. 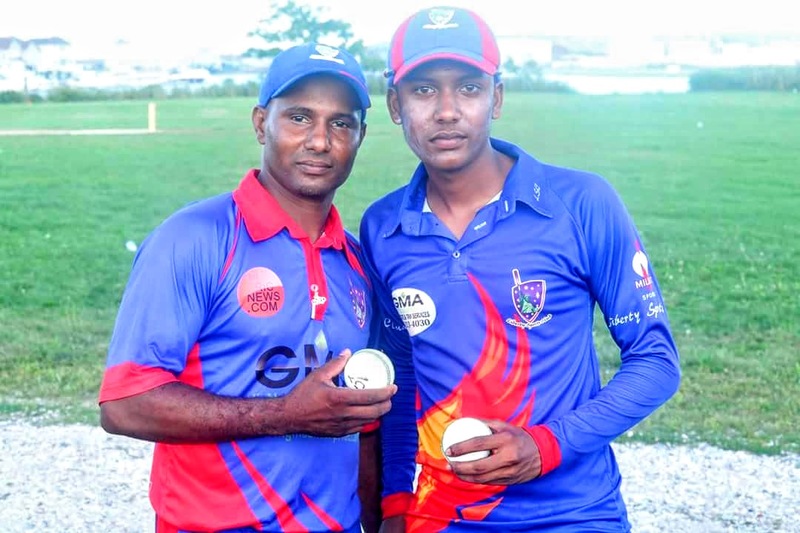 A sublime bowling partnership between Leon Mohabir and Orlando Kirton lifted Liberty Sports Club to a thrilling 19 runs victory over Atlantis Cricket Club – New York. The crafty effort came in defense of just 84 runs in a 40 over match at Bay Park this past Sunday. The duo combined for 7 wickets for 28 runs off 13 overs to bowl out ACC-NY for 65 runs. The Bay Park wicket has tested EACA batsmen all summer. An attempt to beef up the wicket in preparation for the 2016 season appears to have done some disservice to the pitch as the months got warmer. Small, loose gravel present in the surface along with some uneven areas makes bounce and timing extremely difficult for batsmen to master. Liberty Sports Club is all too familiar with the conditions at Bay Park having played four of their previous 12 games there. The unfriendly surface was not kind to batsmen in those games. Twice #TheBlueNation batting fell short chasing otherwise getable totals and the two times when they chased successfully it required some effort. If the pitch conditions were not difficult enough the teams arrived to meet a heavy outfield and a stiff ocean wind sweeping across midwicket from the player’s camp area to the boat docks. Atlantis’ skipper Alex Amsterdam called correctly and inserted LSC to bat first. Miss-timed shots sent back Romeno Deane, Trevor Henry and Trinson Carmichael early. While ACC was making great inroads, limiting LSC to 37 for 3 in the 7th over, their opening bowlers would ever so often miss their target with wide deliveries. The ever watchful Francis Mendonca found some support from Danesh Deonarain as they moved the score up to 54 for 3 by the 13 over water break. Deonarain (11) departed after the break and Mendonca (12) followed shortly after. The remaining LSC batsmen did their best to extend the total. Mohabir and Kirton added a crucial 17 runs for the final wicket. LSC’s inning ended inside the 33rd over, bowled out for 84. While ACC bowlers tightened up on the extras they ended up contributing an inning high 21 wides and a leg by to the LSC’s effort. Bowling for ACC Dillon Bourne picked up 3 for 21. The crucial contributor to his runs were ten wides. Prashanth Nair picked up 3 for 13. Keon Lake, Alex Amsterdam & Greg Robinson shared a wicket each. With experience on the wicket, and knowing first hand the difficulty level for batting #TheBlueNation lads were prepared to defend any total posted in the books. Nicholas Standford came out with other intentions. He blasted 18 runs inside the 4th over but an attempted pull found a top edge and required a smart running catch from Orlando Kirton to remove him off Carmichael’s bowling. Opening bowlers Carmichael and Madramootoo kept ACC to 32 for 1 after 10 over. Leon Mohabir was the first change introduced into the attack and struck immediately. His leg spinning partner, Kirton, was introduced at the bay end 2 overs later and he too found success immediately. Atlantis now 43 for 3 after the 14th over. Mohabir and Orland proceeded to take over the show, utilizing the favorable conditions superbly the two leggies strangled the ACC scoring. They would take 5 additional wickets with 5 runs being the maximum scored for any one of their seven total victims. Kirton bowled 5 overs for only 12 runs for his three scalps while Mohabir knocked over 4 wickets for 16 runs off 8 overs. Carmichael and Madramootoo finished with 2 and 1 wicket respectively. Noteworthy to the outcome is the extras section of the scorecard. To even the casual cricket fan extras would stand out glaringly. While ACC allowed LSC 22 free runs, the highly disciplined Liberty SC unit did not allow a single extra in their defense. Randall Wilson’s patient fight ended up in vain when he was the last batsman removed. Having opened the batting he fell scoring half of ACC’s final total of 65. The fall of his wicket erupted massive euphoria in the LSC camp in celebration of the defense of 84, the lowest successful defense by the club in it’s 7 year existence. .
With one game left before the playoffs LSC will take on Big Apple CC at Seaview and 108 street while Atlantis CC will do battle with Gladiators CC at Lido Beach. This entry was posted in Bay Park, Lido Beach, Match Day, News and tagged ACS/Everest, Amarnauth Persaud, Ameer Khan, Atlantis CC-NY, Deveshwari Prasad, Dillon Bourne, Gladiators CC, Leon Mohabir, Liberty Sports Club, Orlando Kirotn, Prashant Nair., Wasim Haslim. Bookmark the permalink.